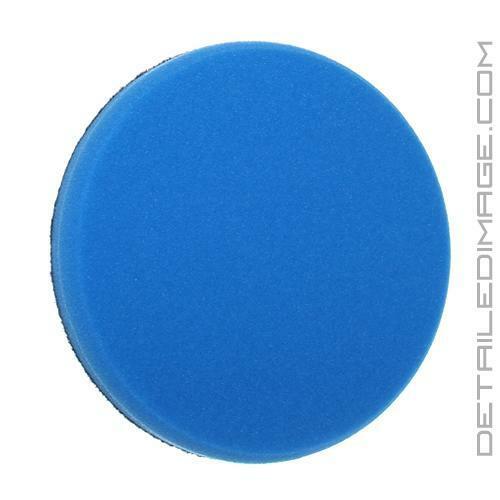 One of the softest foam materials Lake Country Manufacturing has ever created is used in the Blue Fine Finishing Pad. The Blue Pad is the perfect pad to use for applying ultra fine polishes, sealants and waxes. If you have a a buffer this pad can be used with ultra light polishes to "jewel" or burnish the paint. It can provide that extra bit of optical clarity that really makes your paint pop! If interested in jeweling the paint combine the blue pad with the Menzerna Micro Polish SF 4500 (PO85RD), it's the perfect combination. The blue pad is also commonly used to apply a sealant or liquid wax. The ultra soft texture delicately and uniformly coats your paint for flawless coverage. Clean this pad after each use and you'll be using it for years to come. The Blue Fine Finishing Pad makes applying any sealant or wax quick and easy. Helps leave an awesome finish. Great product use on both vehicles and boat!